Big Sur Fiddle Camp is run by a volunteer staff, the on going support of the Big Sur Community, and individuals from all over, who have given their time and or money to help provide a world class music education at an affordable cost. Donations range from in- kind food, Website design, purchasing concert tickets, shuttle service, and direct scholarships for students. Without this generosity this Fiddle Camp would not exist. Earthbound Farm is committed to farming organically back in 1984 on 2½ acres with a fundamental belief that growing wholesome food, in harmony with nature, is the better and more delicious choice. Special thanks to these musicians for playing non-camp concerts to raise money for our Scholarship program: Georgy Gusev, Dimitri Illianarov, Boris Andrianov, Rick Chelew, Edwin Huizinga, Mike Block, Hanneke Cassel, Anja, Paperwings, Kim Kistler, and Phoebe Hunt. Nestled deep in the mighty redwood forest of Pfeiffer Big Sur State Park, Big Sur Lodge has long been a haven for writers, artists, seekers of beauty, and weary travelers in search of the peace and majesty that the ancient redwoods bestow on body and soul. The Big Sur Food and Wine Festival is a 501(c)(3) nonprofit charitable organization created to be a vehicle of support to the Big Sur community. Its intention is to stimulate the local economy and donate event proceeds to support local nonprofits that benefit Health, Safety, Education and Arts. In 2017 we have designated specific beneficiaries including a special road project in Palo Colorado and The Big Sur Fire & Storm Relief Fund. Sierra Nevada Cheese Company was founded in 1997 by Ben Gregersen and John Dundon. Ben and John discovered they had a common interest in making the best quality artisan cheeses using traditional methods, while working together in the Gregersen’s Family Creamery, Foothill Home Dairy, a Sacramento Landmark for over 40 years. The Nepenthe Phoenix Corporation is committed to investing in the work of Monterey County non-profit groups that pertain to children, the environment, health and safety, and the arts. 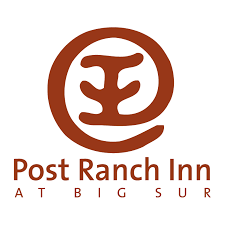 Our priority is given to projects which directly affect the Big Sur community. Donn and Molly Chappellet founded the Chappellet Winery when they moved their family from Los Angeles to St. Helena in 1967. Supporters of Land and Water Conservation and Excellence in the Arts. Molly Chappellet, the CEO of Artforms has run a parallel and intersecting business to Chappellet for the last 50 years. Artforms designs spaces, landscapes, and events heralding art, wine, and music throughout the US. Molly and her team have guided the Chappellet "look and feel" including the Pyramid design of the Winery since 1968. They have produced 4 books on Gardening, the Vineyard, and Wineries. Recently Molly has begun creating large recycled material land sculptures, water elements, and musical compositions. Throughout her career she continues to promote young artists and musicians in their creative endeavors.